Customer service practices are continuously evolving as brands embrace new technologies that can simplify and uplift shoppers’ experiences. When Internet-enabled mobile devices such as smartphones and tablets began to take over the mainstream market, people started moving to a newer breed of communication channel. Today, at the height of mobile consumption, the phone calls and email no longer dominate conversations. Rather, messaging apps that usually come bundled with social media apps took center stage. So brands chased their customers to their favorite mobile apps, and this triggered the rise of conversational commerce. Simply put, this term refers to the merging of instant messaging and shopping. Indeed, users around the world are so immersed in instant messaging. In the United States alone, Facebook Messenger is the top 2 most popular mobile app (next to Facebook itself), with over 129 million unique users every month. Facebook’s WhatsApp and China’s WeChat are also widely used globally. Interestingly, people are using this communication channel not only to connect with their friends and family, but also to get in touch with businesses. With their unique features, messaging apps are changing the way brands talk to customers and vice versa. Messaging has become an integral part of our lives. Mostly, it’s because a lot of us spend a huge chunk of our time online, checking our phones as many as 46 times a day. Brands with an active social media presence are at an advantage. They get to place themselves right in front of the customer, and this allows them to immediately identify and provide customers’ needs. This way, they get to integrate themselves in customers’ lives, providing helpful advice and support along the way. This expands their opportunities to personalize and enhance the customer experience. Messaging apps provide continuous conversation threads between customers and brands. 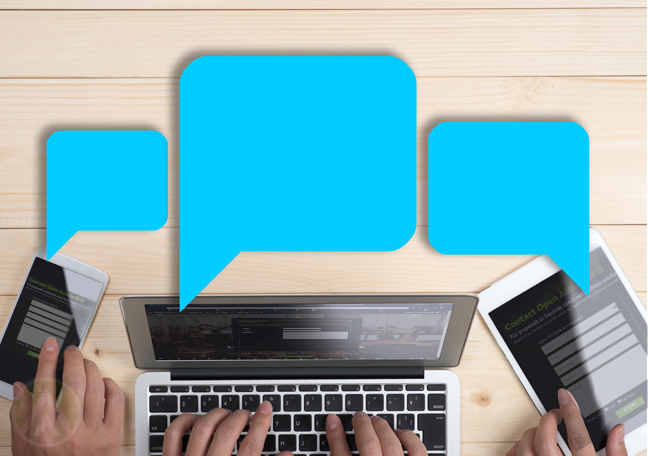 Compared with email, wherein exchanges between two parties can occur in several threads under different subject headers, instant messaging offers an easier way to track conversations. Therefore, following up on a buyer’s request will also be easier, and this creates a faster and more convenient means of delivering customer support. Many brands are now developing their own bots that can handle simple requests from customers and answer basic queries. For instance, Facebook lets businesses deploy a chatbot via Messenger, and this increases brands’ responsiveness. Bots that can send instant replies to customers eliminate long wait times, which is exactly what the always-on consumer needs. The challenge for businesses, however, is to create bots that can talk and think like humans.